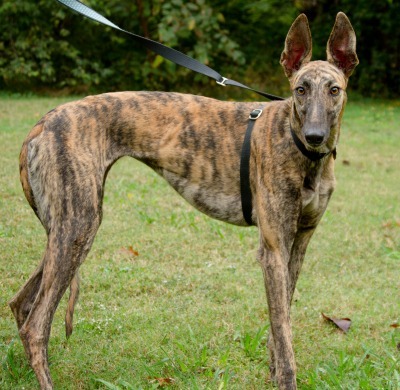 Kayla, aka Blazing Kayla , is a 1 ½ year old brindle female born June 7, 2015. Her sire is Kiowa Sweet Trey and her dam is CTU Side Party. Kayla made it very clear to her trainers that the racing world was not for her – she is looking for a forever couch! Kayla is sibling to Katia. It is not known at this time if Kayla is small animal or cat tolerant.